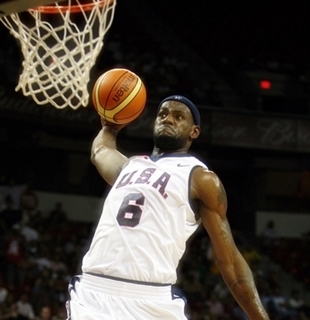 With less than a year before their defense of their Olympic title, USA Basketball released the 20-player preliminary roster for the 2012 London Olympics. The star-studded preliminary roster is composed of holdovers from the team that won the gold medal in the 2008 Beijing Olympics, which includes LeBron James, Kobe Bryant, Dwyane Wade, Chris Bosh, Carmelo Anthony, Dwight Howard, Chris Paul, and Deron Williams. On the other hand, Kevin Durant, Derrick Rose, Tyson Chandler, Eric Gordon, Rudy Gay, Kevin Love, Lamar Odom, Chauncey Billups, Russell Westbrook, and Andre Iguodala were retained from the team that reclaimed the World Basketball title in the 2010 World Basketball Championships. Los Angeles Clippers superstar Blake Griffin and Portland Trailblazers’ LaMarcus Aldridge were also included in the pool, despite not being a part of either the 2008 Beijing Olympics or 2010 World Basketball Championship teams. With the combination of superstars and young talents, USA head coach Mike Krzyzewski believes that this year’s squad is the strongest among the two teams that he coached before. USA Basketball Chairman Jerry Colangelo reiterated that the decision to include Griffin and Aldridge was made to keep themselves competitive against the big frontlines of other teams and he’s confident that both of them will be a huge asset if ever they will make the final cut. The final roster composed of 12 players and six alternates should be named on or before June 18, less than a month before the team kicks off their training camp on July 6 in Washington.